Daniel’s recent fun spelling test got me thinking about English spelling. Google “English spelling” and you’ll get 23,300,000 hits. Visit a few of the sites and you will be told how ridiculous, crazy, outrageous, cruel, and in-need-of-reform is English orthography. English spelling is more complicated than that of some other languages, but it’s not total chaos. The strangest spellings are those of the commonest words, so practice soon familiarizes even young children with the most irregular forms. 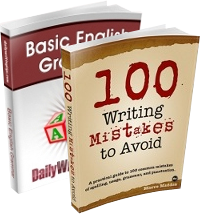 Overall, there are predictable patterns and rules to guide the spelling of most English words. It would be impossible to cover all the phonetic facts of English spelling in one article, so stand by for a sequence of articles (you can also check the spelling section on TeachingIdeas.co.uk, which sums up most of the rules). For starters, I’d like to point out some aspects of the English alphabet that lead to misunderstandings about English orthography. The 26 letters of the English alphabet are insufficient to represent the 44 or so sounds used to speak the English language. Written English has compensated for this lack of letters by inventing “extra letters” to represent eight consonant sounds and seven vowel sounds that do not have letters of their own. For example, the combination sh does not represent the combined sounds of /s/ and /h/. The sound represented is /sh/, which is the sound heard at the beginning of the word ship. 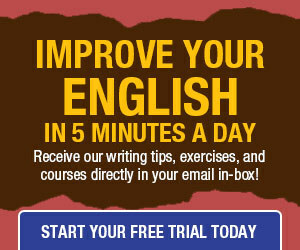 Written English has not just compensated, but overcompensated for its insufficient alphabet. Numerous alternate spellings exist to represent sounds already represented by letters or letter combinations. This overabundance of spellings is a result of English’s unabashed habit of importing words from other languages. In many instances new words brought along the spelling conventions of the language of origin. Clearly English orthography requires more study than that of other modern languages. Keep in mind, however, that English grammar is simpler than most. You can use the time saved in studying the grammar to learn the spelling system! I hear a lot of people admit to being unable to spell as if it were a genetic defect. I suppose that in a tiny percentage of the population it may be. In general, however, poor spelling is the result of insufficient information. In sum: the English alphabet has 26 letters; spoken English uses 40+ speech sounds; written English makes use of 70 spelling symbols. English spelling is complex, but learning 70 phonograms (sound symbols) and a few rules is a small price to pay for the use of the enormous vocabulary of English. I am looking forward for the following posts on this topic. I can’t agree, I think that English spelling hasn’t compensated enough for the lack of letters. English has quite a lot of heteronyms and words which look similar, but are pronounced differently – for example, I find it surprisingly frequent in my professional area that people pronounce ‘header’ like ‘leader’. As far as I know, most languages are consistent in this aspect. I think even French which has really weird pronunciation rules, always sticks to them. And I believe that only an (inattentive?) native speaker can possibly mix there/their/they’re 🙂 Being a foreigner I scored 100% on the test – perhaps with a bit of luck, but still it seems that I would have more trouble with English grammar.